Getting started is simple. Complete our easy application and a loan officer will contact you with a decision — no strings attached. “Mares Mortgage to run credit ext”. By submitting this form, I authorize Mares Mortgage to obtain my/our credit report for the purpose of determining credit worthiness. The information that is obtained is strictly confidential. A photocopy, email, or facsimile of this authorization may be deemed to be the equivalent of the original. We will respond with in the hour, and an approval within 24 hours. 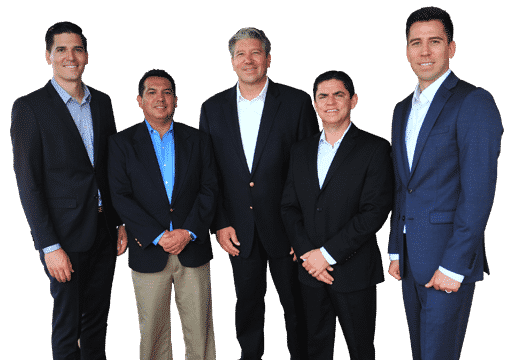 As a mortgage broker and direct lender, Mr. Hernandez offers his clientele a wide array of mortgage products that allows him to specifically tailor mortgage plans for each individual and offer the most competitive interest rates in the industry. Mr. Hernandez’s education in finance combined with his knowledge and expertise in mortgage products, translates into a high quality of service and advising. In today’s market, the importance of fast service and consistent communication has become one of the most critical components of a residential real estate transaction. As a mortgage associate to the realtors he assists, Mr. Hernandez successfully and efficiently closes multiple transactions every month with full communication each step of the way. "I have been a client for over 5 years. Between my personal and business financial needs, Mares Mortgage and Christian Hernandez, in particular, have been a godsend. Professionalism and honesty are their hallmarks. This is why I refer all my family and friends to Christian." "Mid Dec. 2014, I joined the race to Refi. By mid Jan. 2015 the termite inspector found termites eating my Loma Vista home. Dismayed, I posted a call for help on the NextDoor website. Christian Hernandez not only answered my call for a General Contractor but also answered my non-verbal call for a next door neighbor. As we talked and our mutual interests clicked, all my frustrations with my Refi efforts became clear. Christian introduced me to Mares Mortgage and solved my Refi problems! Christian Hernandez represents more than Mares Mortgage. He becomes the friend everyone wants on their side. Firing a frustrating Lender is not easy and is certainly not a pleasant undertaking. Christian fixed the Refi experience for me and dropped my interest rate by ¾%. That's right: From 4.125% to 3.375%"
Mares Mortgage is a Direct Lender or Mortgage Correspondent and are specialists in all aspects of loan origination and mortgage services. We have unlimited flexibility to shop the entire lender market. This can provide significant pricing advantages over banks. In addition, Mortgage Correspondents are authorized to fund mortgages on their warehouse lines. They use their own funds, or funds borrowed from a warehouse lender to fund their loans. These in-house capabilities virtually guarantee quick and accurate closings for our customers. *Most Yelp.com public testimonials in San Juan Capistrano.